This work, “90fied”, is a derivative of “Creative Commons 10th Birthday Celebration San Francisco” bytvol, used under CC BY. “90fied” is licensed under CC BY by [Your name here]. Note: If you’re at a point where you are licensing derivative works, go to Marking your work with a CC license. A good rule of thumb when you are providing attributions is to use the acronym TASL, which stands for Title, Author, Source, License. You are obviously using the material for free thanks to the CC license, so make note of it. 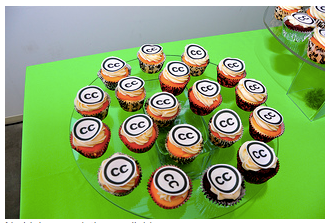 Don’t just say the material is Creative Commons, because that says nothing about how the material can actually be used. 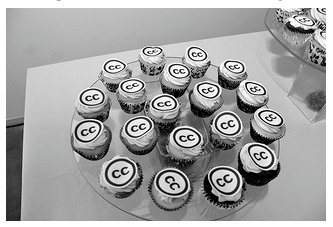 Remember that there are six different CC licenses; which one is the material under? Name and provide a link to it, eg. When you accessed the material originally did it come with any copyright notices; a notice that refers to the disclaimer of warranties; or a notice of previous modifications? (That was a mouthful!) Because that kind of legal mumbo jumbo is actually pretty important to potential users of the material. So best practice is to just retain all of that stuff by copying and pasting such notices into your attribution. Don’t make it anymore complicated than it is — just pass on any info you think is important. 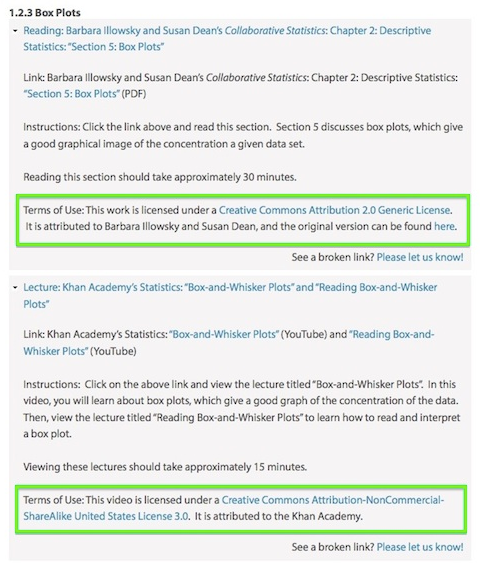 If you have any doubts or questions, you can read the complete attribution requirements which are spelled out in detail in the legal code of every CC license, eg.http://creativecommons.org/licenses/by/4.0/legalcode#s3a. This chart compares the detailed requirements across all versions of CC licenses. Publishing a web page with attribution information. For example, on a webpage featuring your audio recording, provide a credit list of material you used that adheres to best practices above. Doing so allows not only your material, but the materials you attribute, to be found by search engines and other web discovery tools. If possible within the medium, make the Author, Source, and License links the user can follow. Mentioning the credits within the media itself. For example, crediting videos can be a simple list of the materials used with their associated licenses in a screen at the end of a video. For audio, it can be a verbal recitation of credits at the end of the recording. 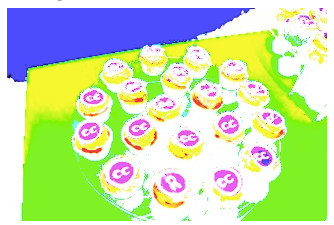 Attributing Creative Commons Material (pdf) – Creative Commons Australia’s publication is full of examples with colorful imagery.